Emil&apos;s bacon cheeseburger pizza is no joke. Published March 18, 2019 at 5:06 p.m. Deep dish, hand-tossed, wood-fired, thin crust, Chicago-style – the planet is packed with pizza options. But sometimes, nothing hits the spot like our old friend, frozen pizza. Especially after a long day and cooking is completely out of the question or during an extended beer-drinking sesh at a corner tap. People definitely have strong opinions on frozen pizzas – to some, Jack's is crap and to others, it totally stacks up. 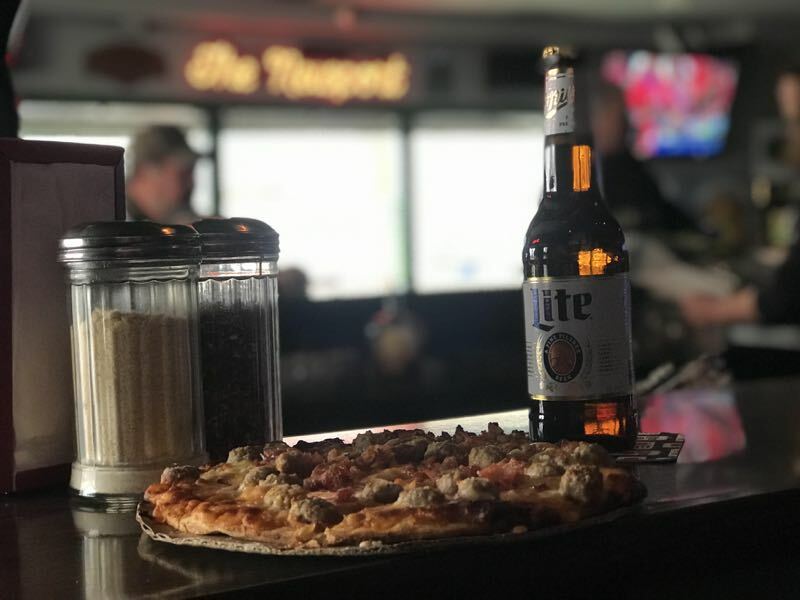 But despite opposing opinions, OnMilwaukee went around to bars and taverns to find frozen pizzas that most would find devourable – and not just at bar time. One of our all-time favorites is Emil's bacon cheeseburger pizza served at The Newport. This pizza features a high-rise crust which is slightly chewy and perfect for a burger pizza because it is reminiscent of a bun. The sauce had a bit of zip and the cheese and bacon pieces are plentiful – as they should be. 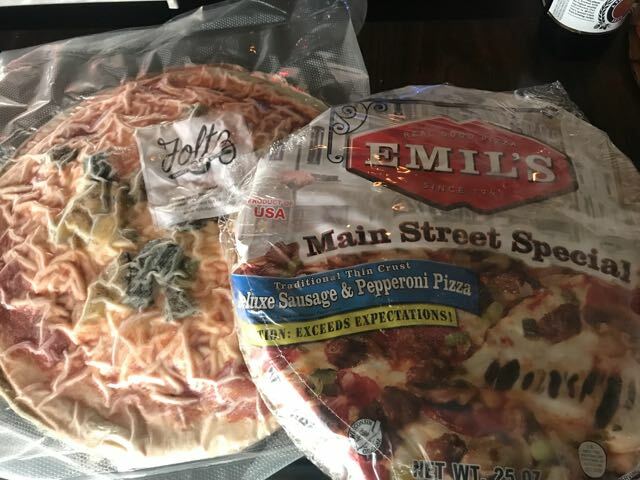 Emil's is made in Watertown, Wis. and available at the Newport in five variations: cheese, pepperoni, deluxe, sausage-mushroom and, of course, bacon cheeseburger. They are available in two sizes: large ($10) and small/personal ($6). 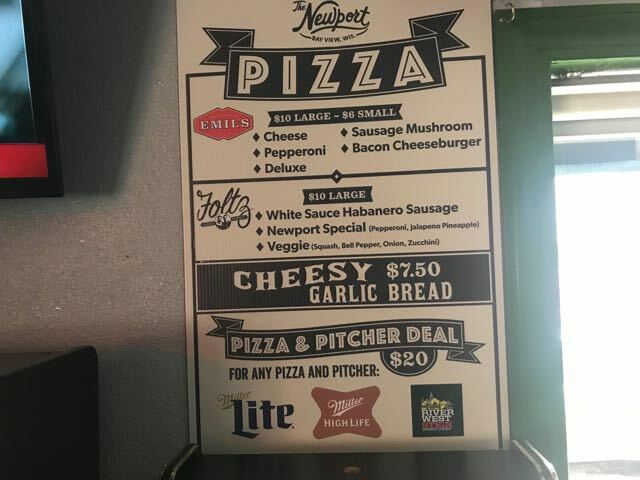 The Newport also offers Foltz frozen pizzas, made locally and also in the Milwaukee Public Market. Veggie, Newport Special (pepperoni and jalapeño pineapple) and white sauce habanero sausage are available for $10. Baked in your average pizza oven, Newport pizzas are served with parmesan cheese, hot peeper flakes and three kinds of hot sauce. Not that this pizza needs any more flavor than it already comes with, but it's always great to have options. And speaking of pizza options: squares or triangles? Do you have a favorite bar frozen pizza? Tell us about it! City spends $5,000 from Domino's to fill "pizza potholes"